The first two Pikmin titles were among the most adorable games ever created. After playing Pikmin 3 at E3 2013, the cute is back! 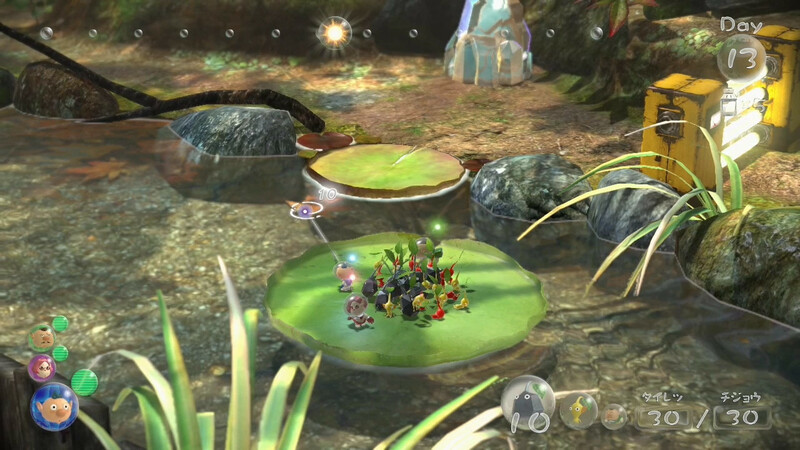 Originally announced as a Wii U launch title, Pikmin 3 ends a long nine-year wait to again take charge of a tiny, leafy, creature army against a host of dangerous creatures and landscapes. 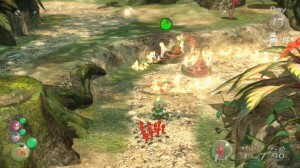 The playable demo at E3 2013 featured a new grey “rock” Pikmin alongside the classic red species. There are new pink, white and purple Pkimin to be found in the full game, but not present in this demo. I was able to instantly switch between and control multiple types of Pikmin using my Wii remote, another new feature of the game. Using the grey Pikmin I could smash down nibble away at any large barriers blocking my path and free lots of fruit from their icy tombs. 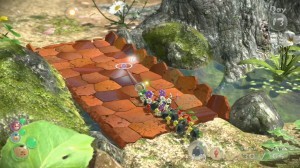 Gameplay remains largely unchanged from previous games. You wander around a level, collect Pikmin, chuck them at every monster you encounter and collect fruit to prevent the Pikmin race dying of starvation. However, this time I was playing with Colin (our camera guy) using the new co-op mode. We were both armed with Wii remotes and nunchucks as the Gamepad was off limits in this demo, something about Nintendo wanting to show off the Wii remote controls apparently. Anyway, I did glimpse it showing a map of the level, which should prove handy. Once we’d started playing, it became apparent that Colin is a skilled Pikmin kidnapper, amassing a large army with effortless speed leaving me with a few plucky stranglers. Fortunately for me, in co-op game mode you can gift Pikmin to each other by throwing them for the other player to pick up, something Colin did…eventually. Via a single vertically split-screen we went about our business of collecting fruit until our food retrieval mission was halted by the level timer. 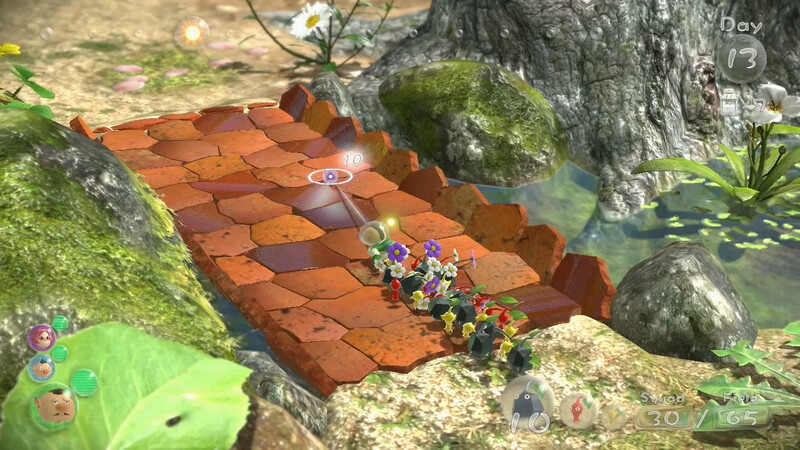 Pikmin are lot more controllable this time around with each one acting as a separate entity rather than just a drone in a larger group. This allowed me to attempt a rudimentary creature ambush rather than simply attacking it head on as I would have done in previous games. I still found it hard to ignore the pangs of sadness every time one of my little troopers died at the hands of some nasty jellyfish or because of an accidental suicidal command from me. Drowning or burning-to-death Pikmin are not pretty things to watch. Now, thanks to the increased limit you will be able to kill up to 100 of them in one foul swoop. Eeek! 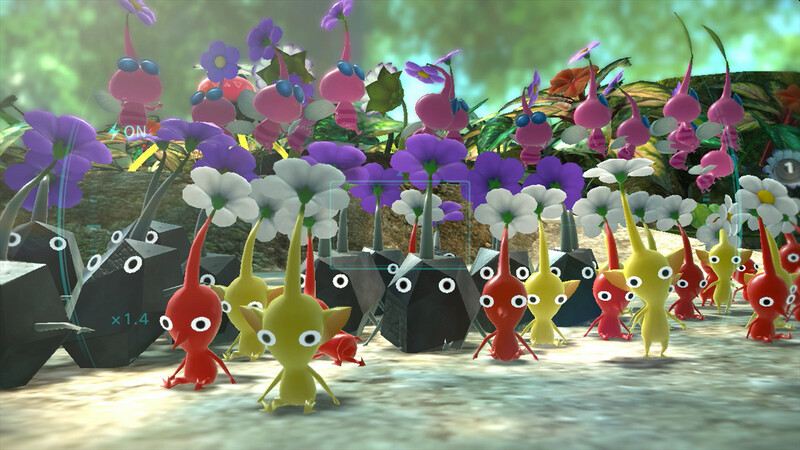 Pikmin is back, in beautiful HD and as cute as ever. Look out for it at launch. 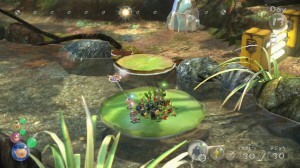 Pikmin 3 is due for release on the 26th July 2013 for Wii U.